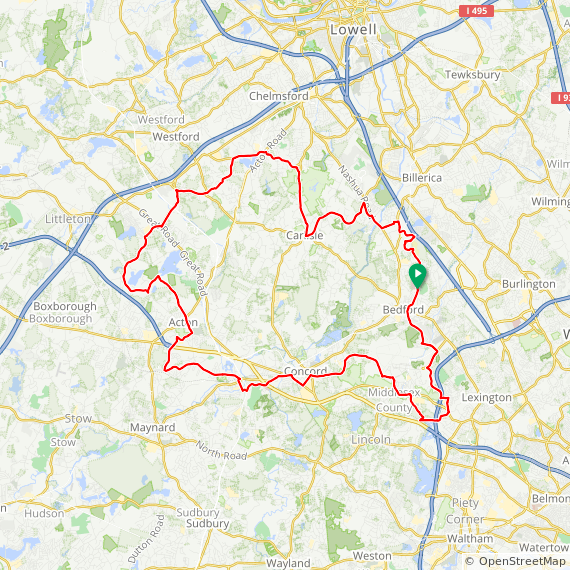 Join us for a lovely spring ride through quiet roads of Bedford, Concord, and Carlisle with Westford and Acton also included for the longer route. This is a ride-at-your-own-pace ride. But, you can join one of the ride leaders for a group ride for either distance with a rolling average of 13-14 mph. The lunch stop for both routes is Ferns Country Store in Carlisle. The route has been modified from previous years and is not arrowed. Please print a cue sheet and bring it with you. There are no facilities at the start of the ride, but there is a McDonalds about 2 miles from the start on Rt. 4 in Bedford.